 Public Lab: Can Infragrams be used to count coconuts/crop productivity? Question: Can Infragrams be used to count coconuts/crop productivity? I am interested in using drone mapping of coconut palm forests to assess the health and productivity of the palms. I imagine that the ripe coconuts will have a unique IR signature and am interested in developing a software that can quantify the coconuts through compiled images. The signature of ripe coconuts might be distinguishable from some of the other things in the photos, but not necessarily everything else in the photos. Are ripe coconuts brown? With a good red channel and good NIR channel, a brown coconut can probably be distinguished from a live palm frond. Palm fronds are geometrically complex and will cast shadows and have bright highlights, so will not have a simple VIS/NIR signature. Dead or dying fronds, stems, and sheathes might have a signature which is very similar to ripe coconuts, and tree trunks and ground surfaces might also be similar. 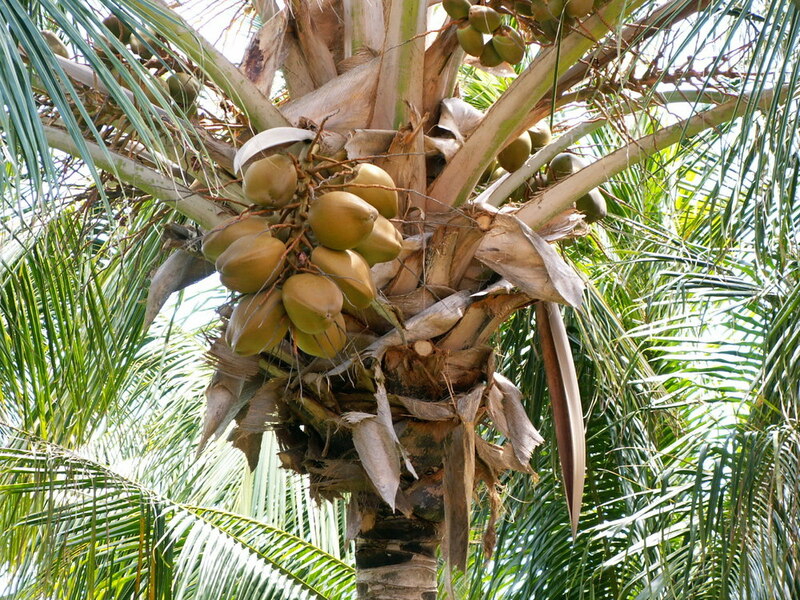 If it is obvious to a human that some trees in a photo are loaded with ripe coconuts and others are not, image analysis can probably be used to replicate that observation. Including near infrared information might make that analysis easier.